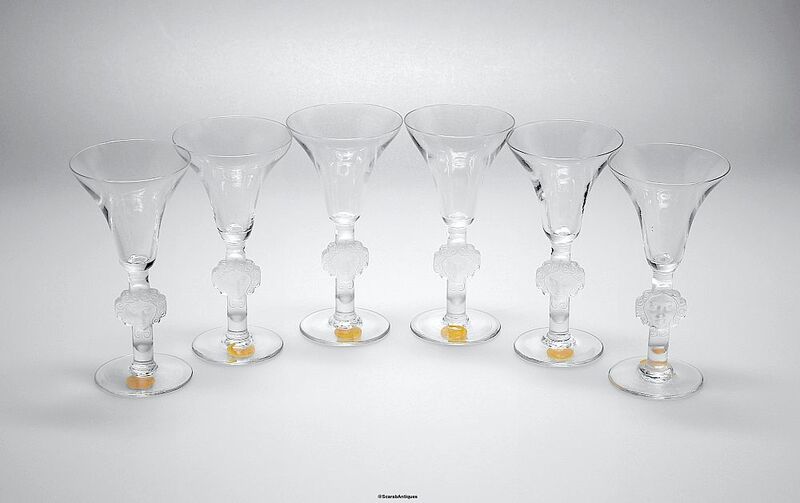 These 6 liqueur glasses are fabulous. Introduced by Rene Lalique in 1924 and known as "Barr" the round foot supports a flat stem in the middle of which is a frosted woman's head beneath a tulip shaped bowl. 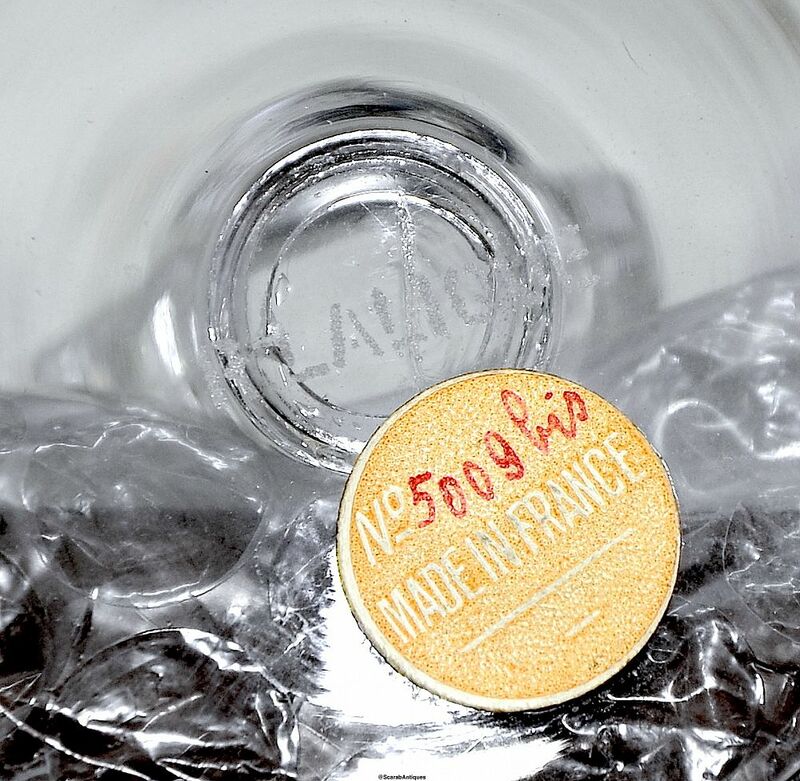 The underside of the foot is signed "R Lalique" and each glass has a round orange label embossed & signed with the words "No 5009 bis Made in France".